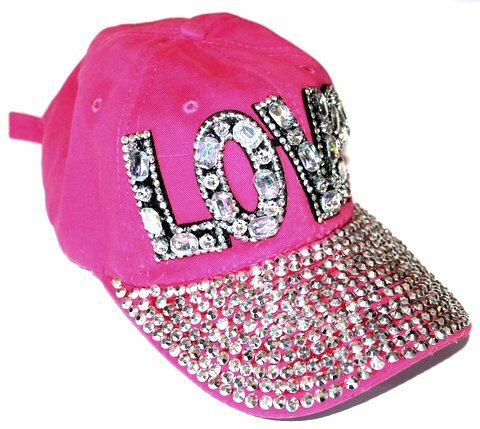 Beautifully blinged out super sparkly rhinestones throughout the visor and chunky aurora borealis faux crystals state LOVE. 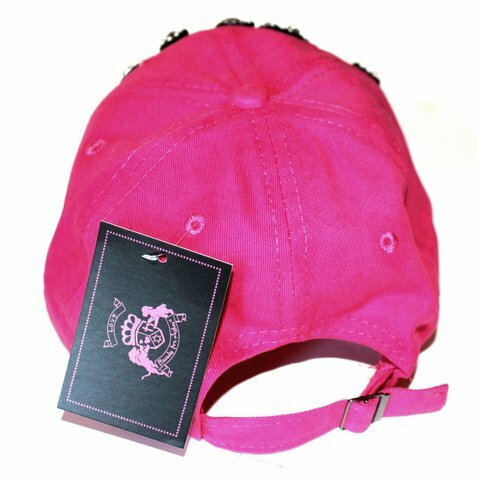 A very cute hat! The back is adjustable. Scroll down for more photos.